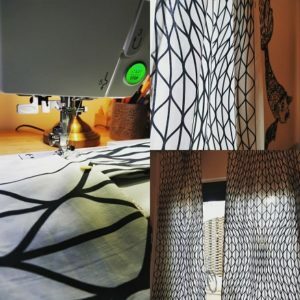 In this advanced beginner class we will learn how to make perfect curtains for your home and how to shorten and adjust ready made curtains to the size of your window. All beginners who have some minimal sewing experience (e.g. hand sewing/mending). 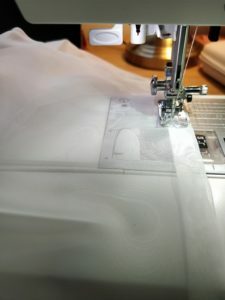 If you are an absolute beginner you can join this class, but we would recommend you to complete our Introduction to Sewing: You and Your Sewing Machine class first. All sewist who are keen to learn how to adapt ready make curtains for your home or make a new set from scratch. Adjusting & working with large sheets of fabric - handling large pieces of material is tricky, especially where you are about to shorten them to a specific measurement. There is only one chance to get it right, so the saying "measure twice cut once" applies to curtains more than to any other make. 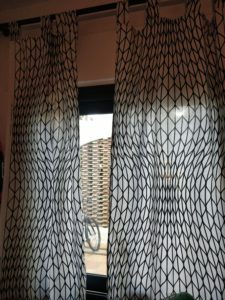 In order to complete this project you will need a pair of shop bought curtains /net curtains or materials sufficient to make a pair (please allow 20 cm extra fabric above what you need for the curtains), matching thread. Fabric packs containing all necessary materials will be available to purchase during the class for €15 - €20 (depending on size of your window). If you are unsure how much material you need, please contact us and we will be happy to help.